It’s that time of year again, when you can cycle your face off while wearing the craziest/weirdest costume you can conceive of (Stevie Wonder Woman? Boy George Washington?). 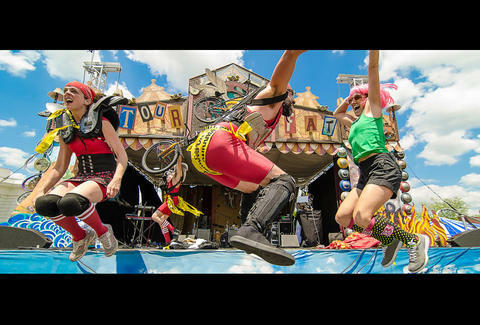 New Belgium Brewing is inviting your crazy self to the Tour De Fat through Chicago followed by a banquet to kick back with Fat Tire Ale -- the beer behind the biking. It’s all to raise awareness for biking as sustainable transit (and you as a wild ‘n crazy cyclist), and it’s coming to Palmer Square on July 11th to sate all your refreshment and recreation needs.